This article was written by Chris Teeling. 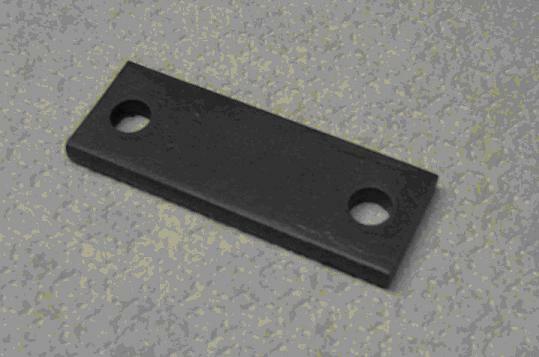 All 1968½ 428 CJ Mustangs had sway bar spacer plates installed between the inner sway bar isolator mounts and the body brackets. These spacers do not appear in the Master Parts Catalog and I have not been able to find any reference to them in any other Ford literature. 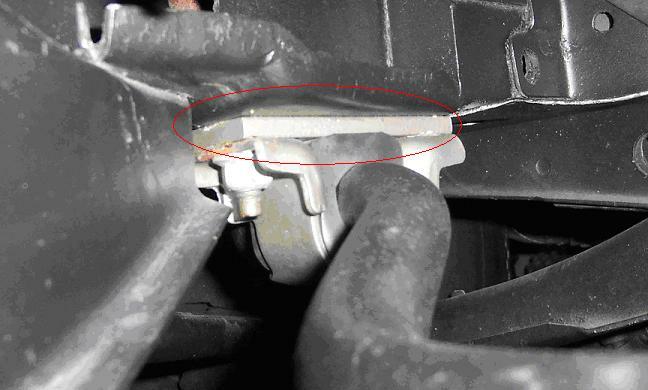 The sway bar spacers are made from strip steel and were clamped between the inner sway bar bracket and body bracket as shown below (circled in red). I am not certain of the purpose of these spacers. Some have claimed that they were required to allow clearance between the crank pulley and the sway bar. With the standard crank pulley there is at least 2 inches clearance between the pulley and the sway bar, so it is unclear why a larger gap would be required. I have seen one of the 1968 Holman Moody/Stroppe prepared S/S Mustangs that had several of these plates installed so it may be possible that they were used to preload the front suspension for quicker front end lift. The spacer details are shown below. They are approximately ¼" thick by 1 ¼" wide by 3 1/2" long. There are two 3/8" diameter holes drilled through each spacer as shown.